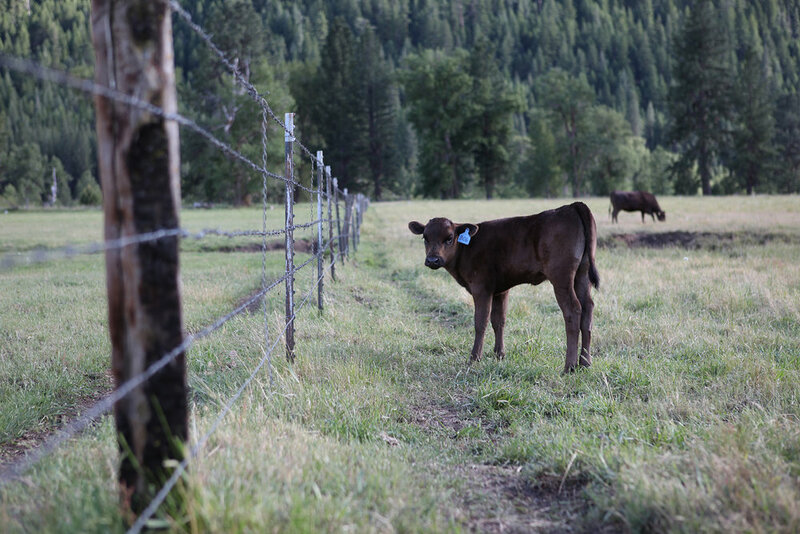 Our cattle’s health and well-being are a top priority at Genesee Valley Ranch. We believe in raising our animals in a stress-free environment to ensure their wholesome development. One of the most stressful times in an animal’s life is saying good-bye to mom, better known as weaning. We utilize a few unique techniques when it comes to weaning in order to minimize the stress on our calves and cows. 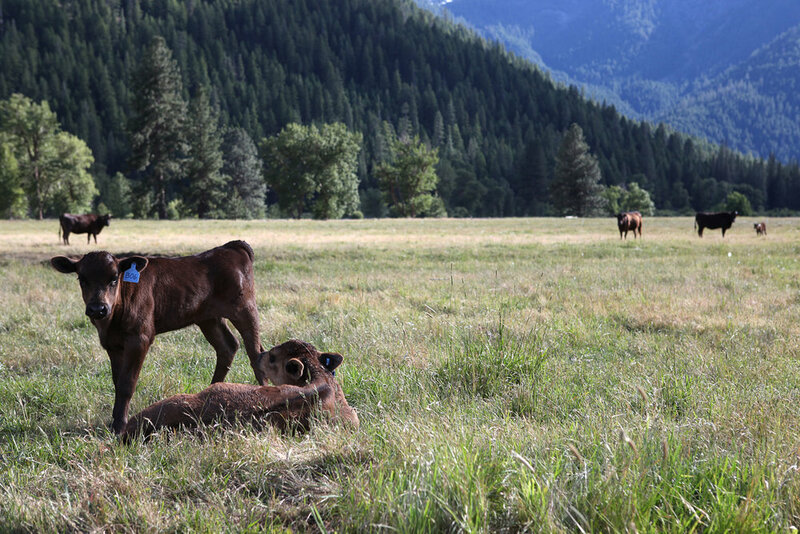 We allow our pairs to stay together longer than most operations, allowing our cow-calf pairs to naturally wean. As the months progress and the calves grow in size, they naturally transition to feed rather than rely solely on mom. When it comes time to separate the two, we use a method called fence line weaning. Just as the name suggests, we use the fence line as a barrier- calves on one side and mothers on the other. This allows the animals to see and talk to one another, each knowing the other is alright. This simple act of allowing the cattle to see each other greatly reduces the stress of separation. How do we know it reduces the stress on our animals? Simply by observing the cattle’s behavior. If you have ever been a part or witnessed the traditional method of weaning (moving one group as far away from the other as possible), you would see visibly upset animals, running the fence line looking for a way out and calling out to each other — all a sign of distress. Through fence line weaning, our cattle remain calm and very little calling is heard from them. They graze close to the fence line keeping a watchful eye on each other and eventually meander away. Our calves never go off feed, thus they remain healthy and strong. From start to finish we are committed to producing a healthier, humanely raised, world class beef that is as unique as the pristine valley it's raised on. Our attention to detail ensures that we produce only the finest 100% Grass Fed Wagyu Beef.